The very first published work of Patrick Loiseleur. "On the verge of the Source..."
Seven short pieces for Wind Quintet, aimed at students and amateurs players. Seven short and relatively easy pieces for String Quartet. One of our best sellers: three songs in jewish popular style for Viola and Piano. Ce rythme doit avoir la valeur sonore d'un fond de paysage triste et glacé... Claude Debussy's wonderful Prelude n°6 now available for string Quartet. A virtuose piece for Viola Quartet based on Isaac Albeniz' great classic. No doubt that both interprets and the audience will love it ! 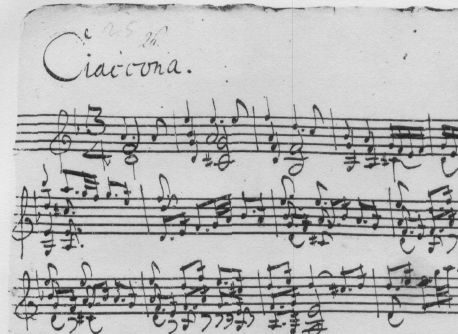 Bach's great Chaconne for Solo Violin can now be played on string trio. More than an mere arrangement, it is a complete polyphonic rewriting of this masterpiece. The Dream Child: first part of a great trilogy for solo Oboe by Michaël Goldberg.